Description: Ahoy mates! 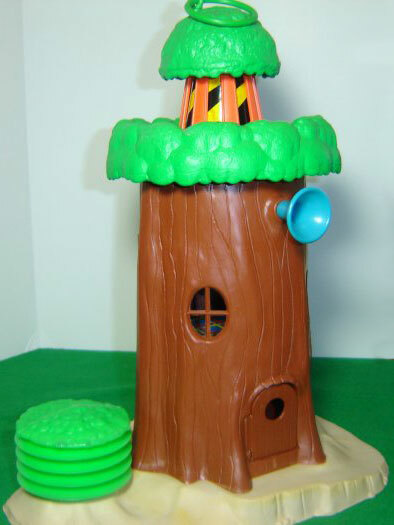 Lost ships can find their way home with the Tree Tots Lighthouse, which features a revolving searchlight and flag, and a realistic foghorn sound! The tree-shaped lighthouse has 2 large fold-down doors that double as docks. The doors fold down to reveal a 2-level home inside. 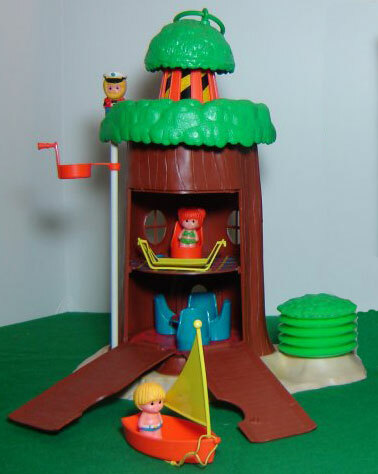 The top of the lighthouse has a lookout platform and the side has a pole with a movable crow's nest to lift Tree Tots to the lookout. 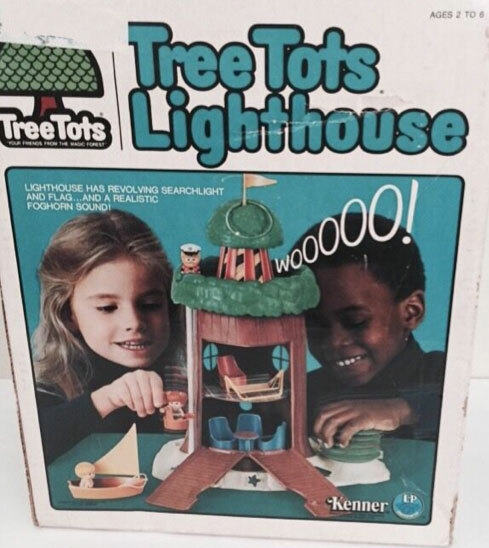 The Tree Tots Lighthouse was also sold in Europe during the 1970's by Palitoy Discovery Time. 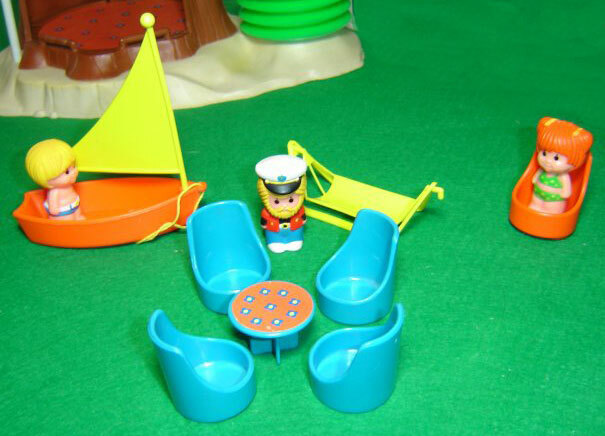 The European set includes the same figures and accessories, except the European lighthouse is battery-operated with a revolving working searchlight (revolves via hand-crank on side of lighthouse).